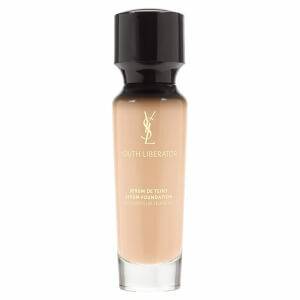 Achieve a flawless, radiant makeup finish with Yves Saint Laurent Touche Éclat Le Teint Foundation, the brand's best-selling foundation infused with the illuminating properties of Touche Éclat for a radiant finish. The full coverage foundation feels weightless on application and blends seamlessly to even out the appearance of skin while encouraging a glowing complexion. Formulated with pigments for enhanced coverage and luminosity, the liquid foundation provides long-lasting wear, ensuring skin is left looking smooth, perfected and comfortable with a healthy-looking glow. For best results, apply with the Touche Éclat Foundation Y-Brush for flawless, weightless coverage. Pump two drops of Touche Éclat Le Teint into the ‘Y’ signature reservoir of the Y-Brush. Dab the texture on the cheeks, forehead and chin, and blend using circular movements from the centre of the face outwards. Use the side for the brush to smooth the foundation onto the lower eyelids, nostril area and nose. For a more blendable application, apply one drop first, followed by a second drop of the full coverage foundation to finish applying with fingertips, apply with gentle sweeping motions from the centre of the face outwards. Highly recommend this product.easy to apply for even coverage and lasted all day. This foundation is amazing! The way it glides on your skin and how it makes your skin feel is truly perfect. Would recommend this product to everyone. No words to express how beautifully this foundation lays on the skin. I am 37 and have combination skin. I was looking for something which gives a youthfull, fresh look - not too heavy and cakey. This foundation does the job and I am really happy with my purchase! 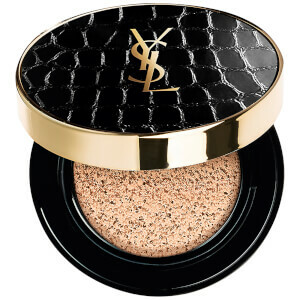 My first YSL beauty purchase, and I love it! I normally use Nars Sheer Glow and find that YDL has got a slightly higher coverage, but that also means it lasts longer. Really happy with my purchase. My skin looked absolutely incredible after using this. I have had so many compliments on my skin and you don't need to use too much!